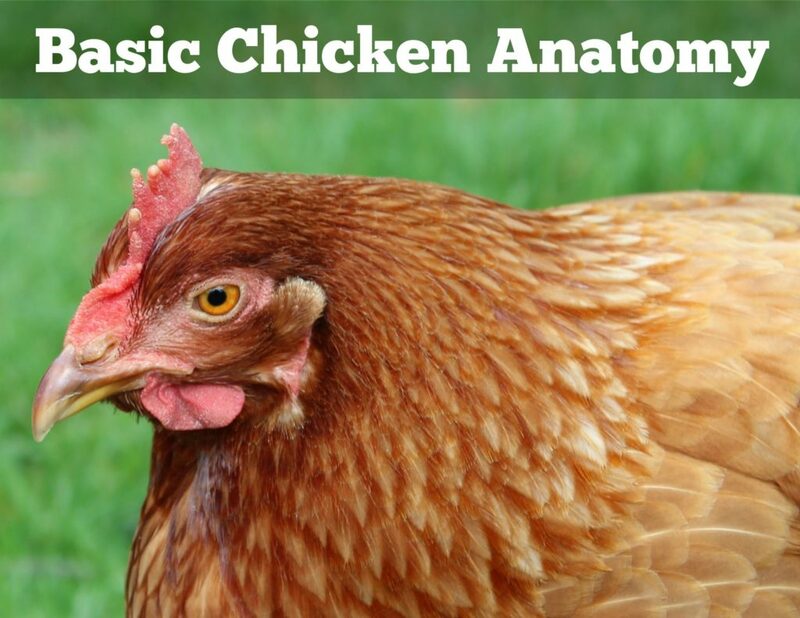 Part of raising chickens is understanding chicken anatomy. While chickens have some of the same body parts we do, they have a lot of interesting parts we don’t! Many of these “parts” play an important role in your chicken’s life and well being. Let’s take a look at some of these external body parts and what they do . Comb – the fleshy red growth on the top of a chicken’s head which helps regulate body temperature. Crop – part of the digestive tract that serves as a temporary storage space of food. Hackles – the feathers over the back of a chicken, which are pointed in males and rounded in females. Hock – the ‘knee’ joint of a bird. Preen gland – an oil sack on the back, near the base of the tail. Chickens use this oil to straighten and clean their feathers. Shank – the part of a bird’s leg between the foot and the hock. Spur – the sharp protrusion on the back of a bird’s leg. Usually found on male chickens, in some breeds the females grow them too. Spurs are used for fighting and self-defense. Vent – the opening in the chicken’s bottom where eggs and poop come out. Both the digestive and reproductive systems empty through the vent opening. Wattle – the flap of skin under the chin of a chicken that helps regulate body temperature. 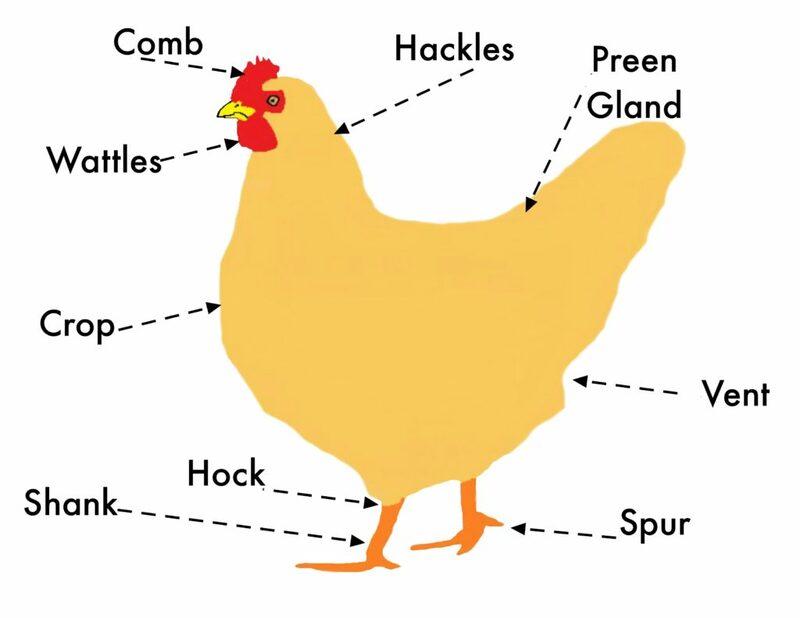 From food storage to providing their own “hair care” products, chicken’s have some amazing anatomy. And these body parts are just the tip of the iceberg! If you think being able to regulate your body temperature with just a couple of flaps of skin is cool (pun intended), check out just how amazing their eyesight is! Or how they can change their feathers like we change our coat!